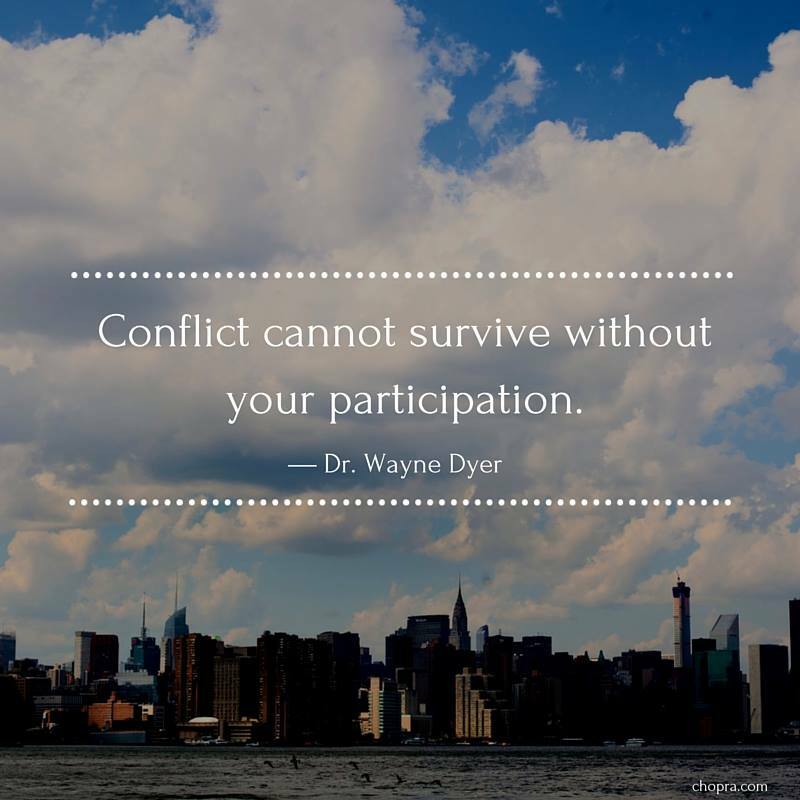 Believe it or not, you can choose whether to participate in a conflict. That doesn’t mean rolling over every time a disagreement comes up. It means changing our intentions when it comes to conflict. Let go of the idea of that there is a winner and a loser in every conflict. 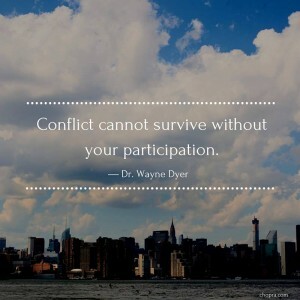 Instead, take a step back and ask about the truth behind the conflict. Why is your spouse, friend, co-worker, or child upset? What is beneath your own feelings of discord? Now, choose to believe there is a way to resolve this conflict where no one feels like they lost. Honest, that is how resolutions are found and conflict vanishes. It requires a belief that there is an outcome that all parties can live with peacefully. And that requires a decision to not make an enemy out of your partner/child/friend simply because they disagree with you. Mindful peace means holding the other party in love, believing in a win/win solution, and allowing yourself to be movable.